Cuddles Baby Animals is a special tri-annual magazine that is the little sister of cuddles magazine. Each is filled with cute baby animals. Buy a single copy or subscription to Cuddles Baby Animals magazines. Buy a single copy or subscription to Cuddles Baby Animals magazine. 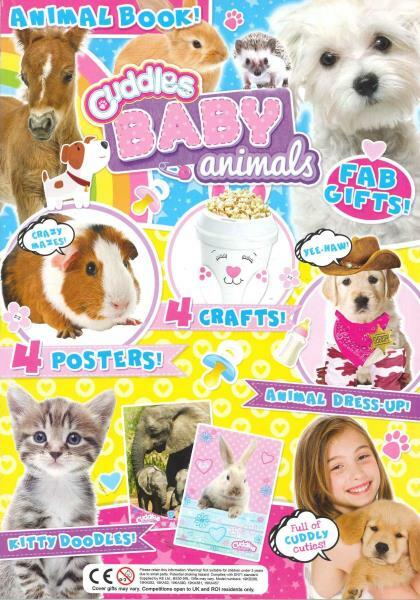 Cuddles Baby Animals magazine is packed full of fab activities including dress-up arts, puzzles, doodling and craft. This magazine is the perfect gift for little ones that love animals. Each issue is filled with favourite animals from cute and cuddly kittens to adorable fury rabbits. Plus, find free gifts and pull out posters.